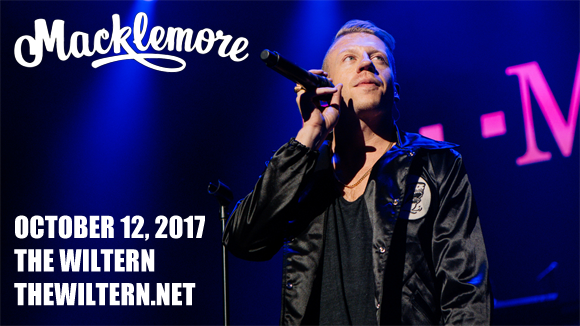 "I always try to get a different pallete of sounds and textures and vibes," Macklemore said. "This album, I was in a good place man… for the most part, if I'm in a happy place and life is good, that's going to be reflected in the music." American rapper Macklemore hails from Seattle and first began making waves in music in 2000 with the release of his debut EP, under the name Professor Mack Lemore. To date, he has independently released one mixtape, three EPs, and four albums as a solo artist. Macklemore met producer Ryan Lewis in 2006, and the duo released their first collaborative effort in 2009. The pair released their debut studio album The Heist on October 9, 2012, which charted at number 2 on the U.S. Billboard 200. The album went on to launch two number one singles (“Thrift Shop” and “Can't Hold Us”), making them the first duo in the chart's history to have their first two singles both reach the peak position, and it also led to them winning four Grammy Awards at the 2014 ceremony, including Best New Artist, Best Rap Album (The Heist), Best Rap Song and Best Rap Performance ("Thrift Shop"). His newest solo album, Gemini, is slated for a 2017 release.